Though the Student Organic Garden is located on UC Berkeley property, we do not receive funding directly from the university. Our operational costs are largely paid for by generous organizations through grants. SOGA’s currently funding comes from a The Green Initiative Fund (TGIF) grant (#thankgoodnessitsfunded!). 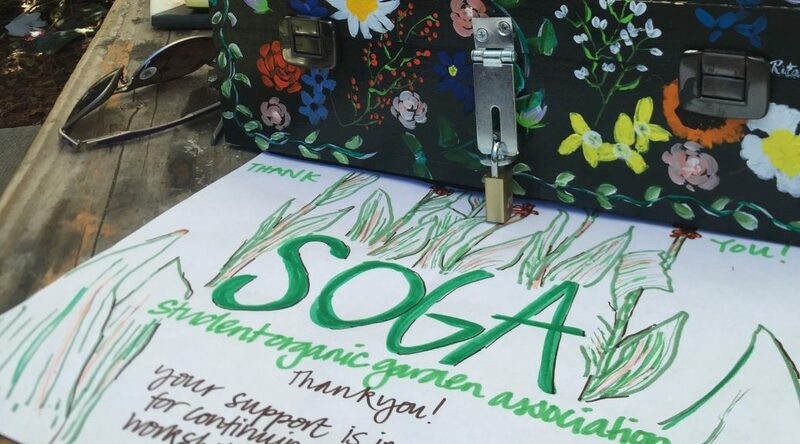 However, SOGA is always open to additional support, which will be allocated towards seeds, tools, event supplies, and continued payment for hard-working garden managers. Your contribution will help ensure that our events remain free for all members of the public. Documentation of the ASUC’s Tax Identification or a tax-deductible receipt is available upon request.